You might remember the rotation button from the last developer preview—we really liked it. The button appears when you've turned off auto-rotate and turn your device sideways. The phone recognizes that, allowing you to lock in the other orientation. It's neat. In DP2, that feature is available on the Pixel Launcher home screen (see above). Next, the Pixel Launcher app drawer has app actions, which appear right below the suggested apps near the top of your drawer. This is an AI-powered feature that suggests actions like calling a contact or playing music. The suggestions are limited right now, so some developer initiative is probably required. You can shut these off in the settings if you think they take up too much space. 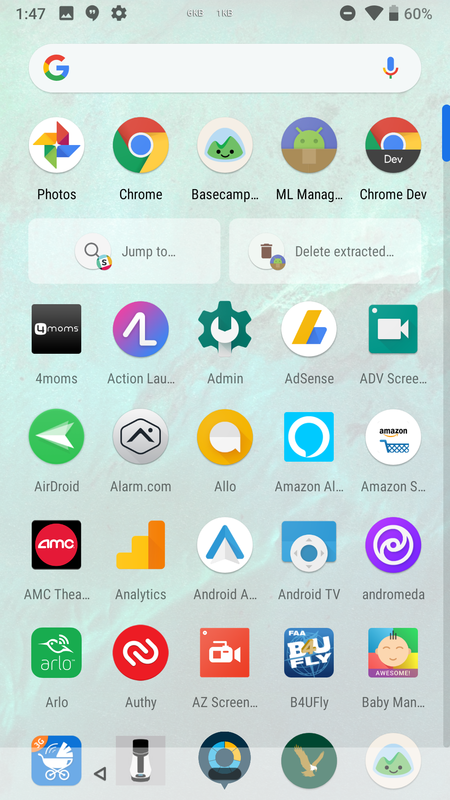 Lastly, the DP2 Pixel Launcher changes the long-press menu. 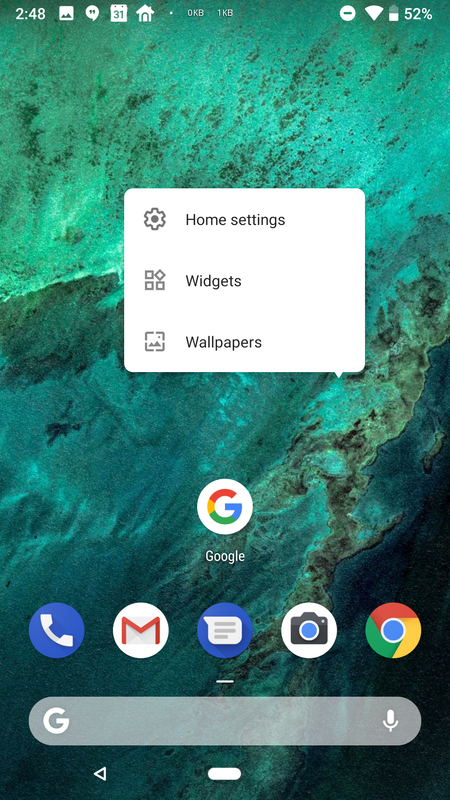 Currently, you get wallpaper, widget, and home settings at the bottom of the screen with a long-press. 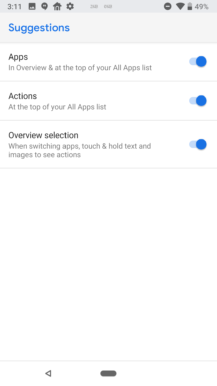 In DP2, those options appear in a small popup in the middle. 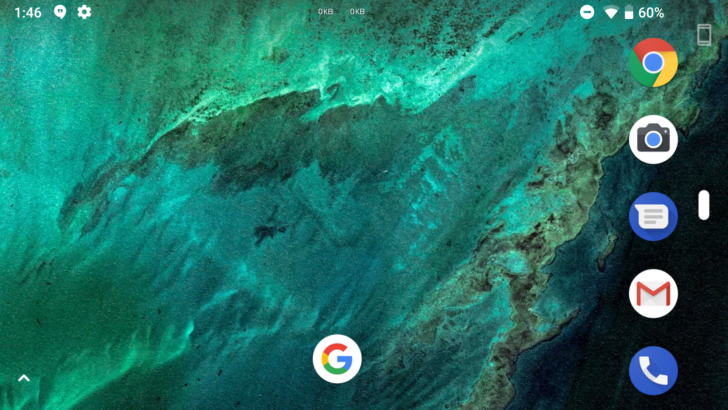 This looks nicer, but it does mean you can't long-press and drag home screen panels anymore. That's a bit of a bummer. We've got the new version on APK Mirror, but exercise caution. In our testing, it may just crash repeatedly on non-P devices.